In September of 2018, four friends from south central Kentucky reunited with a new outlook on making music together. After the official retirement of The Crossmen in 2016, two current members took a break to reflect, revive, and regroup with two former members of the beloved quartet. With a renewed passion for sharing their music with others, these four friends—Scott Flener (tenor), Darren Lawrence (baritone), Jason Brooks (bass), and Darren Doyle (lead)-- came together with a new and united purpose. 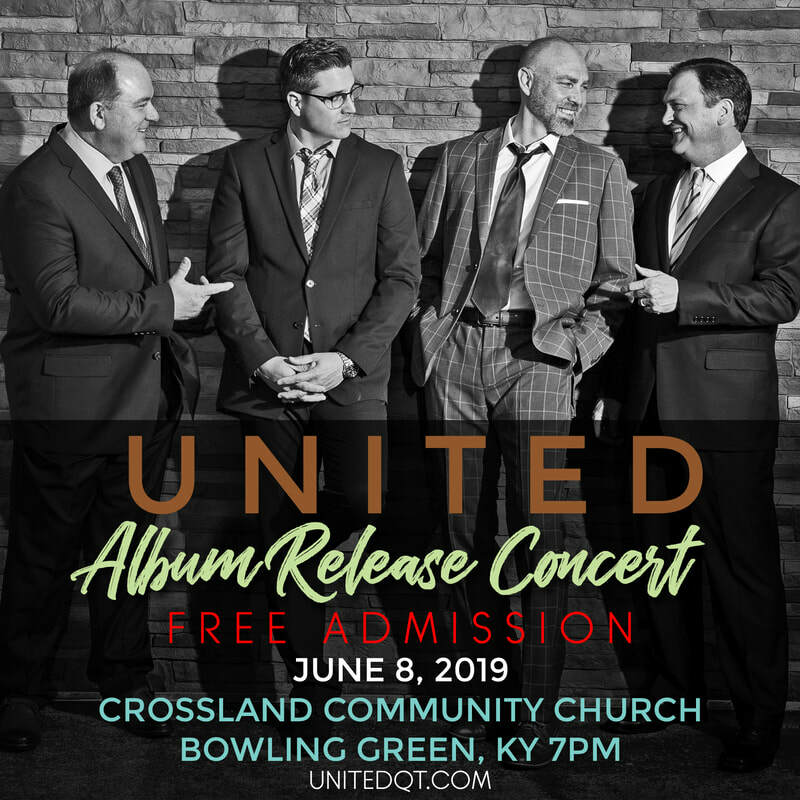 UNITED builds on the legacy that began with their days as members of the Crossmen, while their music brings a new and fresh sound to southern gospel quartet singing. UNITED thrills audiences everywhere with their new songs and style while staying true to their roots of classic four-part harmony. Their love for Jesus, their families, and each other is second to none, and they sing for no other purpose than to share their exciting, positive, and uplifting message to all.